Our retreat house chapel is a sanctuary of peace. “Retreat” is a strange word to signify something very positive: an opening of the heart to quietude and the opportunity to rest in the mystery of one’s inner longing. We welcome persons of all faiths as well as seekers unsure of what they are looking for. 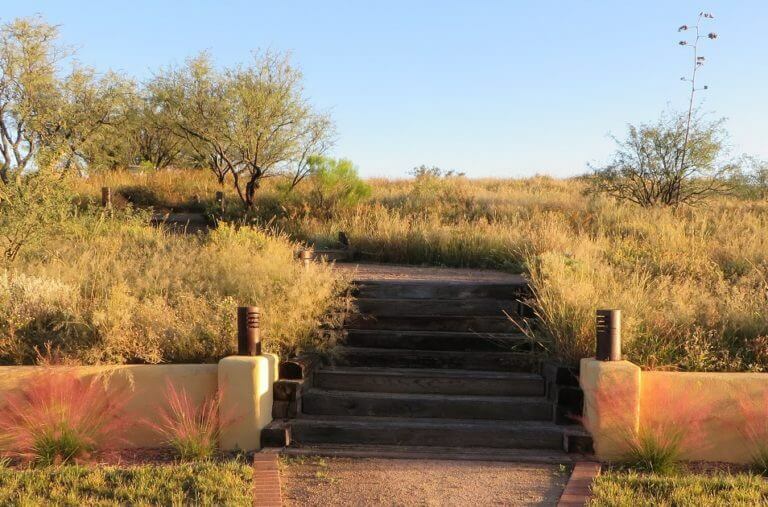 Santa Rita Abbey’s retreat house is beautiful; its surroundings are themselves a prayer. A vast western sky has things to tell us of God, both day and night. Mountains speak in solidity and reassurance. But we are a monastic place, a place in which the sisters’ simple life, their fidelity to silence, the sacred word, and liturgy lend meaning to the retreatants’ experience. 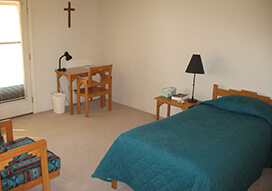 Our retreatants are free to attend the sisters’ liturgical services from the guest chapel, or choose to enjoy the peace of the Retreat House chapel, their rooms or the majestic outdoors. They know that they have entered a living tradition in which prayer and laughter, welcome and labor run like a current just beneath the days of solitude they have come to enter. 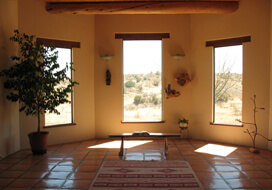 Our retreats are individual and we do not give spiritual counseling or talks. The retreat is an encounter with God. On a practical level, the retreat house offers a small kitchen and dining room, in which the guests prepare their meals from food provided. 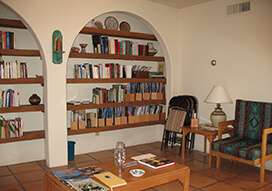 The rooms are simply and attractively furnished. The requested stipend is $40 a night. We ask retreatants to arrive before 6:00 in the evening.